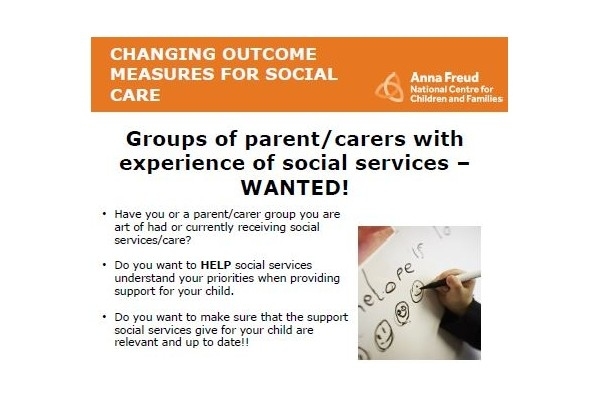 PACC is working with the Anna Freud Centre to include the views of parent carers in their current work to improve social care outcomes and to ensure that these outcomes reflect what families want to happen. We have arranged a short workshop with members of the Anna Freud Participation Team on Tuesday 16th October, in the Community Room at Tesco’s Harlescott, Battlefield Rd, Shrewsbury SY1 4HA, from 10am to 12pm. Light refreshments will be available.